One thing that all good athletes have in common is a sense of efficiency. The athlete that can maintain proper mechanics and spend the least amount of energy to complete a task will be able to push harder and farther compared to the athlete that just flies and dies. 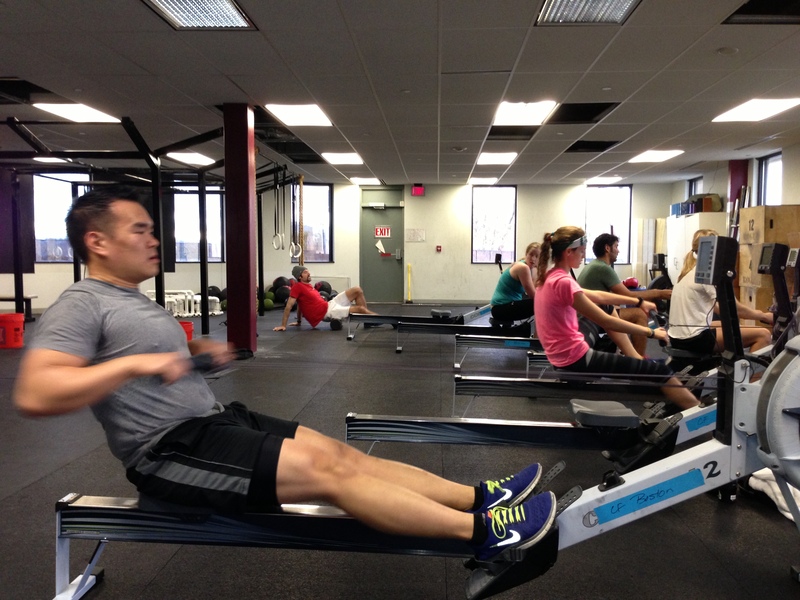 Todays Rowing WOD introduces a key concept to being efficient in rowing and may improve your efficiency in longer wods. 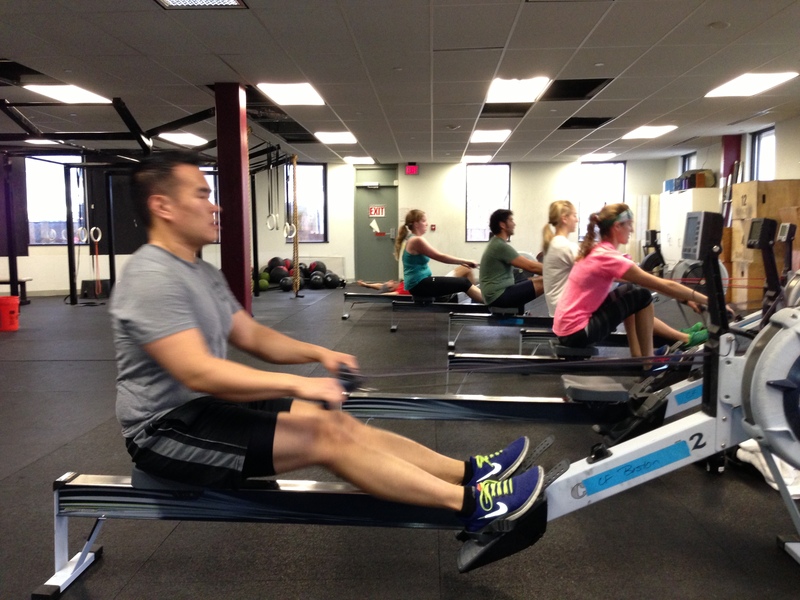 Start the workout by rowing 1,000m at 24-26 strokes per minute. Effort should be about 60% – 75% as if you were jogging a half-mile, don’t go all out. The average split for the 1k will be your goal split to hold through all of the 3 minute pieces. Set the monitor for 3′ of work and 1′ of rest. Each 3-minute piece is broken into 1-minute sections that should be rowed at the designated stroke rating. In order to hold the goal split while decreasing the stroke rating you must perform a ratio shift. A ratio shift changes the timing of the stroke on the drive and the recovery. For example, shifting from 1 on the drive: 2 on the recovery, to 1 on the drive: 3 on the recovery. This is a challenging workout. Use it to develop a sense of efficiency. 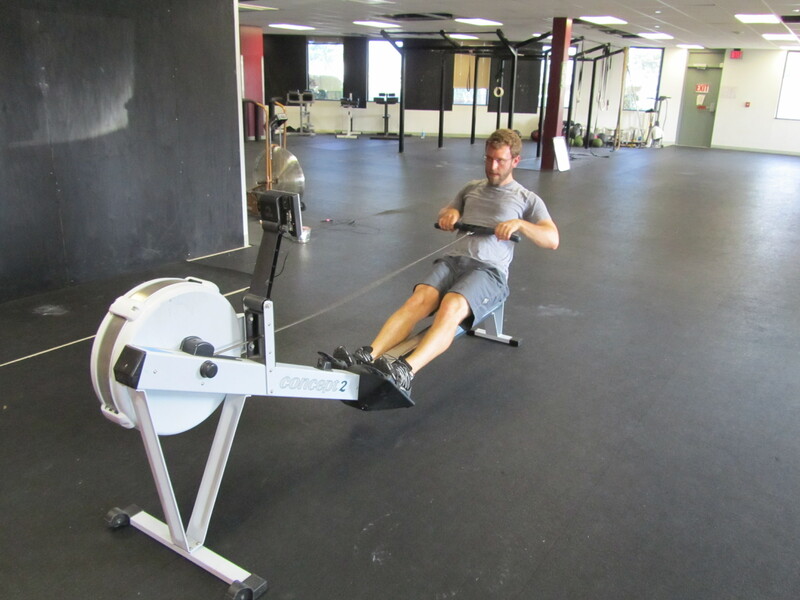 A proper ratio shift maintains the power per stroke but allows the rower time to breath and prepare for the next stroke. Post Total Distance and your Experience with ratio shifts. Below are some pictures of Mike T. on after working on staying connected through the finish. What does your finish look like? Is it efficient? How fast do your hands move through the finish? … Just a few things to think about as we continue to work on suspension through the stroke and balanced finishes. 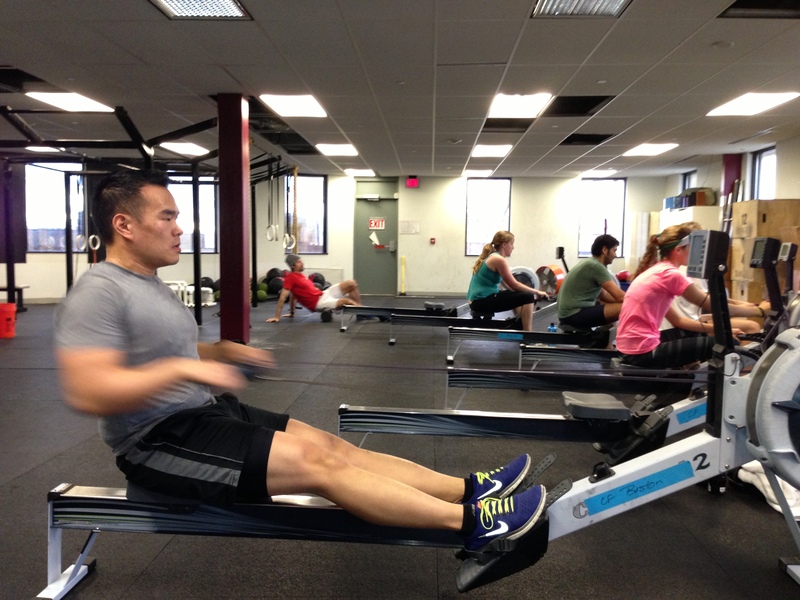 This entry was posted in Fitness, Rowing, Strength and tagged endurance sports, exercise, functional movements, inspiration, new sport, personal experiences, row 2k, rowing, sports, training by Renegade Rowing. Bookmark the permalink.